At times, you might want your Arduino boards to be low profile. Our Mini Ultra Plus 8 MHz is sold without any of the through hole connectors mounted. 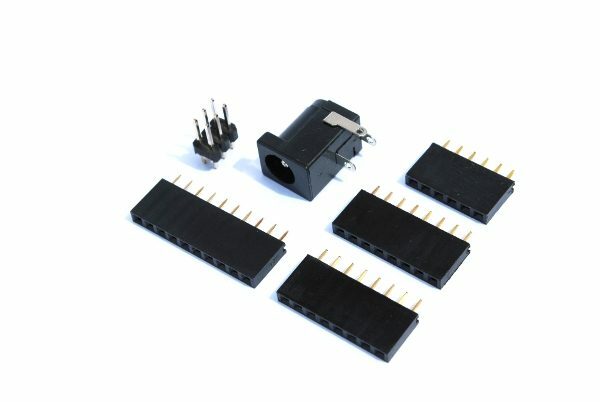 If you decided you needed them, this is the connector kit for the Mini Ultra Plus 8 MHz board.